Anchor participants in the 2012 Fort4Fitness (click to enlarge). Pastor Tim Hallman, preparing to run the 13-mile half-marathon, with his wife Tara, who ran the 10K (which started about a half hour later). Tin Caps Stadium, where all of the Fort4Fitness events ended, is right across the street from the Grand Wayne Center, which will host the 2013 US National Conference. 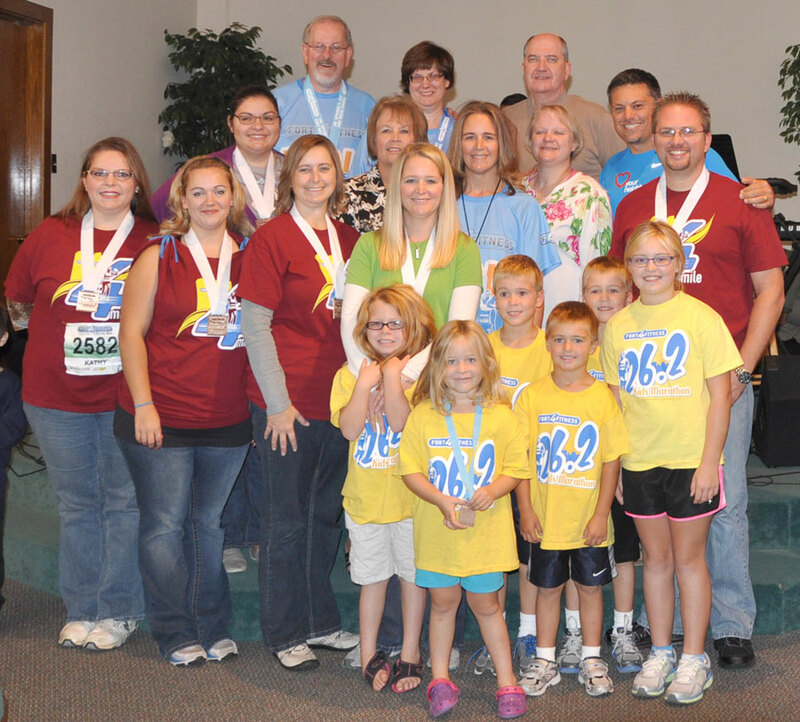 As in 2011, a number of people from Anchor Community Church (Fort Wayne, Ind.) participated in the annual Fort4Fitness races September 28-29, 2012. The kids in front participated in the children’s marathon on September 28; they log miles during the summer, and then complete the last 1.2 miles at the Tin Caps Stadium. Most of the adults participated in the 4-Mile walk. 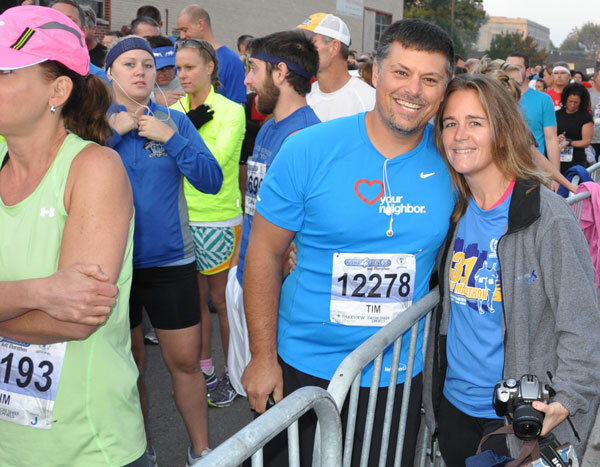 Pastor Tim Hallman ran the 13-mile half-marathon, and his wife, Tara, ran the 10K. Two others walked the 10K. It’s an exciting event for the city. In just five years, the event has grown from 3000 people 10,000 people. A group photo of most of the participants from Anchor was taken after the morning service on September 30. Lois Magnus, wife of retired pastor and former superintendent Martin Magnus, passed away at 5:12 am on Thursday, September 27, 2012, two days shy of age 83. Just six days ago we reported that Lois had been diagnosed with cancer and given three months to live. Lois was a woman of strong faith in the Lord Jesus Christ and lived in relationship with him every day. She, along with her devoted husband of 56 years, Martin, had open hearts and an open home, and many thought of her as a second mom or a spiritual mom. Lois was a prayer warrior who supported many pastors, ministries and missionaries, some for over 50 years. After three weeks of hospitalization, Lois couldn’t wait to get to heaven and leave behind the limitations of a failing body. Lois was deeply loved and will be greatly missed by her children, Brian (and wife Lynette), Cindy (and husband Scott), Randy (and wife Debb), Greg (and wife Shelley) and Tim, her grandchildren, brothers and sisters, many nieces, nephews and other family members, her loving church family at Stanley Park Community (United Brethren) Church, as well as neighbours and friends. Visitation: 2-4 pm and 7-9 pm Sunday, September 30, 2012. Visitation location: Stanley Park Community Church, 9 Dreger Ave., Kitchener, Ontario (off Ottawa, east of the expressway). Funeral: Monday, October 1, at 1:30 pm (viewing one hour beforehand). Funeral location: Kitchener Gospel Temple, 9 Conway Dr., Kitchener, Ontario (off River Road). In lieu of flowers, donations can be made to Stanley Park Church or a mission or ministry of your choice. Two sons are currently United Brethren ministers: Brian Magnus, bishop of the United Brethren Church in Canada and pastor of the Parkwood Gardens church (Guelph, Ontario); and Randy Magnus, pastor of Roseville UB church (Ayr, Ontario). 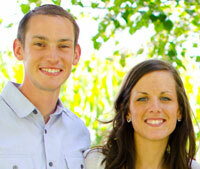 Bryan and Emily Gerlach have been approved as full support staff with Global Ministries. They will serve in northern Thailand sometime in the second half of 2013. Bryan grew up in the Mt. Pleasant UB church in Chambersburg, Pa., and was a leader in the youth group. He graduated in 2010 from Houghton College (Houghton, NY) with a degree in Music Education. 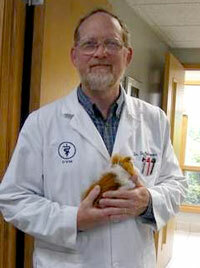 His short-term mission work includes trips to Mexico, eastern Europe, and the Ivory Coast. Emily grew up in a military family, and lived a couple years at a time in Japan, the Azores, the Netherlands, and in six different states. She became a Christian during high school through a youth group. She attended three years of college at Spring Arbor (Spring Arbor, Mich.), and then transferred to Buffalo State College (Buffalo, NY), from which she graduated in 2011 with a degree in Art Education. She also participated in cross-cultural trips to Egypt and Belize. Bryan and Emily were married in July 2010. In August 2011, they began a year as missionary teachers at All Nations Christian Academy in South Korea. While there, they attended a church that was very focused on human rights issues, including the plight of children and refugees who become exploited in human trafficking in Southeast Asia, especially northern Thailand. They are currently living in Chambersburg, Pa. In preparation for service in Thailand, they are raising support and working in a Global Ministries internship in partnership with the King Street and Mount Pleasant UB churches in Chambersburg. Donna Hollopeter, associate director of Global Ministries, with Dwight and Patti Kuntz and all the mums. 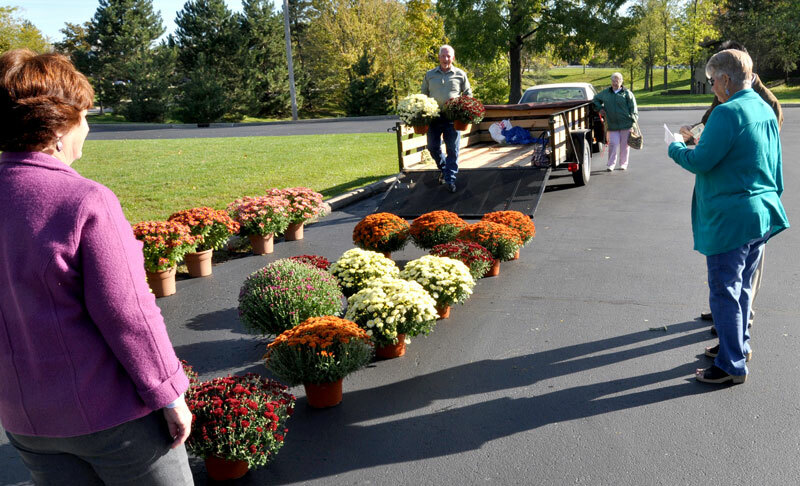 Dwight unloads mums from the trailer as Donna Hollopeter and (on right) Patti and Frank Y watch. Union Chapel (Fort Wayne, Ind.) is planning a trip to Jamaica in January 2013. 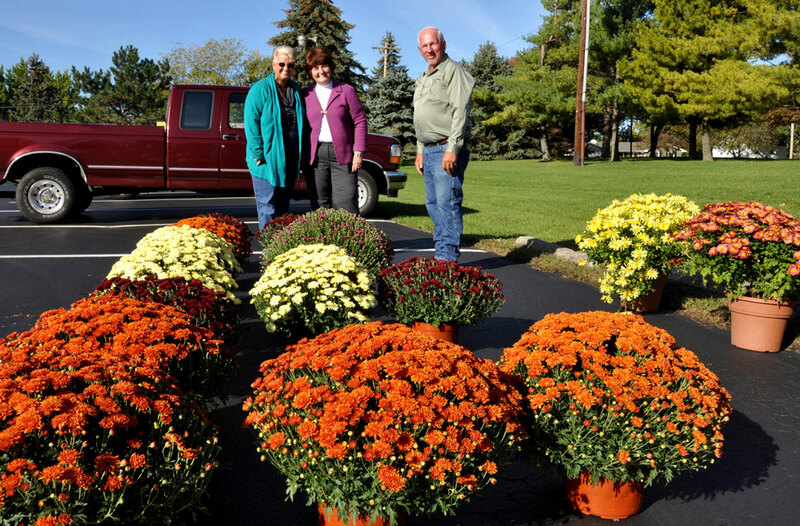 As a fundraiser, Dwight and Patti Kuntz grew and are selling some beautiful mums. 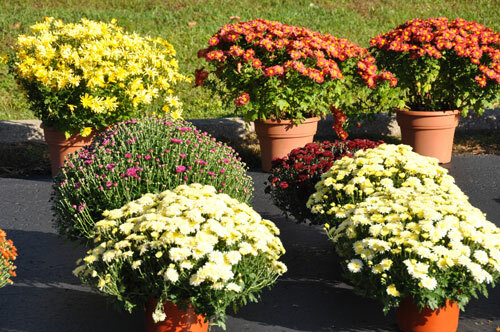 They came by the Healthy Ministry Resources office on Monday, September 24, with a trailer filled with planters of mums–all different colors. Huge, and gorgeous. They found a lot of buyers. The trip will occur January 8-22, 2013. The team will work on building a new dining hall complex at Jamaica Bible College. The school outgrew the old hall, which seats just 75 persons, a while back. The new dining hall will seat 350. It will double as a place to hold graduation ceremonies. Specifically, they will concentrate on the first floor. The footers are in, and they will begin laying block for the walls–carrying cement blocks and steel rod, shoveling sand and stone, etc. If you’re interested in participating on the team, contact Dwight Kuntz by email. A group of 37 persons are attending. They include senior pastors from 22 of the 25 UB churches in this attendance range. Lodging for Monday through Wednesday evenings at the Ocean Walk Resort is covered, as is one evening meal. Participants are paying for transportation and all other meals. Monday, September 24. The event begins with a 6:30 dinner, after which Bishop Phil Whipple will speak to the group. Tuesday. Workshops in the morning, with the rest of the day free (hit the beach go golfing, etc.). Wednesday. Workshops in the morning, afternoon free, with an 8 pm closing session. Thursday. A service project with First UB church in nearby Holly Hill, Fla.
Presenters will be UB pastors from the larger churches who have at least taken a church through the 400 barrier. Topics include: Space Utilization, Leading vs. Managing, Staffing, Developing Leaders Around You, and Impacting Your Community. Persons attending from the national office are Bishop Phil Whipple, Jeff Bleijerveld (Director of Global Ministries), Dennis Miller (Cluster Coordinator), and Gary Gates (Director of Ministerial Licenses). Getaway meetings for pastors, staff, and spouses from the largest UB churches (300+) have been held somewhat regularly for about eight years. 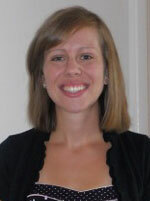 Sarah Bonner has joined the Global Ministries family as an endorsed staff. She grew up in the Emmanuel Community Church in Fort Wayne, Ind. Her sister, Jenaya, is part of the Global Ministries staff in Macau. Sarah serves with Every Community for Christ, the church multiplication catalyst of One Mission Society (formerly OMS International). She works at the OMS World Headquarters in Greenwood, Ind., as the administrative assistant to the international director of Every Community for Christ. Sarah assists with communication, organization, and event coordination. This involves many different tasks such as email and phone correspondence, providing up-to-date documents and information, creating organizational systems, and helping to plan training events at headquarters and around the world. Sarah graduated from Huntington University in 2011 with a degree in sociology. She had the opportunity to complete two internships at OMS headquarters in 2011, and God has opened the doors for her to continue to serve in Greenwood. She is currently raising support to serve fulltime in this capacity. Dan Paternoster, who was struck by a car on August 28 while riding his bike, is making good progress. Here are recent excerpts posted to CarePages.com by Dan’s wife, Nancy. Dan, a veterinarian from the UB church in Fowlerville, Mich., is a member of denominational the Executive Leadership Team. Thursday, Sept. 20. Wednesday was a busy and exhausting day. Dan was moved to rehab, which meant that we also moved with him. He is working with physical, occupational, and speech therapy twice each day, and this is wearing him out. Maybe he’ll start sleeping better at night now. (It’s so easy to get your days and nights mixed up in the hospital.) The current plan is for us to be here for 4-6 weeks, then possible further outpatient rehab in the Lansing area. Friday, Sept. 21. Rehab is hard work, but we’re seeing progress! Yesterday and today were spent relearning how to walk. It’s not done for very long or without lots of assistance, but it IS happening. I’m sure it feels good to be moving again. Dan can still read well, but has a hard time recalling words. His speech therapist and his occupational therapist are both working on this. Dan can have visitors from 5:30-8 pm, but there’s no guarantee that he’ll be very awake then. His therapy sessions take up most of his day, every day, and are tiring him out. Saturday, Sept. 22. Dan used a regular walker today! He still needed help, but walked much of his half hour therapy time. Today his trach tube was capped and he tolerated it well. Just a few more days of doing well this way and the trach will be removed. Dan was given ice chips to chew and swallow yesterday. Soon he’ll be tried on other foods to make sure that he won’t have trouble eating. If this goes well, the feeding tube will be removed. “We received some sad news this afternoon. My Mom, Lois Magnus, has been diagnosed with cancer and has been given three months to live. “They have been removing up to three litres of fluid from her chest cavity each day this week, and cancer cells have been found in the fluid. She will be receiving palliative care only from this point. 20 Sep Five Baptisms in Rockford, Ill.